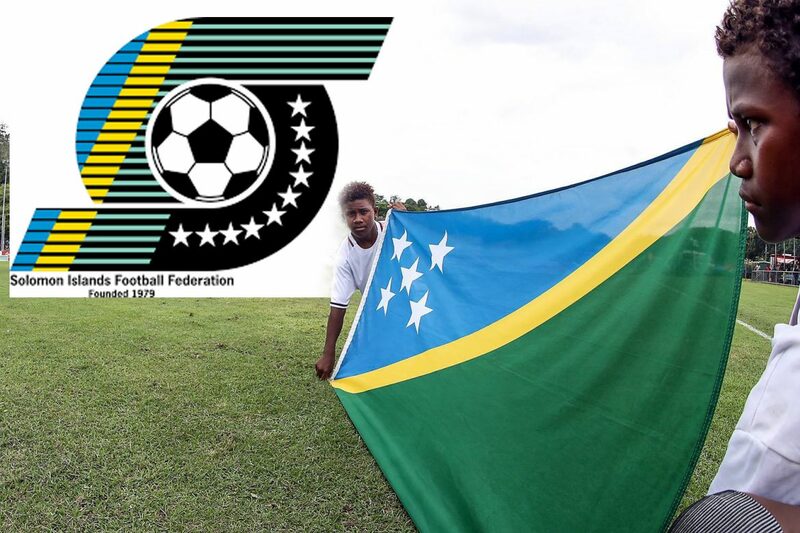 This year will be a busy year for football and the Solomon Islands football Federations (SIFF) as our national teams will be participating in major regional and international football obligations. As such, SIFF under the leadership of President William Lai has taken swift actions with its preparatory plans leading up to the scheduled duties Solomon Islands football will attend. Lai outlined the country’s proposed plans this week to the local media, in a Press conference. “This year is a very busy year for football in the country” he said. He highlighted that some of the scheduled assignments will be the country’s participation in the FIFA Under- 17 World Cup in Peru October this year, Kurukuru’s preparation to defend its title in Oceania Futsal Championship which also serves as World Cup qualifications set for October 2019 in New Caledonia and the Pacific Games set for Samoa in July 2019. With these important competitions coming up under the leadership of William Lai, his executive has set preparation plans which include training camps in overseas and international friendly matches for our national teams to prepare them well before the actual completions. He therefore, confirmed that our National U17 team will be touring Europe and Spain for training camps and to play friendly matches before heading to Peru for the FIFA U-17 World in October. Lai said for Kurukuru the newly appointed Brazilian coach, Vincius De Carvalho Leite will arrive in the country next week to sign a contract with SIFF and start working with the Kurukuru training squad before heading off overseas for more training camps and friendly matches. For the senior team, they are set to represent the country in the Samoa Pacific Games. Therefore, president Lai confirmed the national team will be travelling to Taiwan for an international friendly match, April 2019. He said, apart from the Taiwan tour, they are eyeing to send the team to Netherlands for three weeks. “For the Netherlands tour we are in advance stage with our communications on which teams we will play in Netherlands,” he insists. “So we have a very good preparation plans supported by OFC, La Liga, UEFA. “We have many partners. What pleasing is that our partners have recognized that Solomon Islands have potential talents in football and willing to help support our football development program,” the SIFF boss said. He said these recognitions came through the hard work of current SIFF regime, for the last three and half years after they took over the office and managed to settle the outstanding issues left behind by the previous regime. “Our aim in these scheduled tasks that we will be attending is to win medals just like other countries are striving for. “And so, it’s very important that we do have a right preparation plans for competitions coming up.” he added. Apart from international commitments, this year SIFF has plans to improve football domestically with its Provincial Football Associations. This year SIFF will make sure all PFAs are active in their development programmes. As of this year, all PFAs will have an active development officer who will be paid by SIFF. The development officers will lease with SIFF development officer, Eddie Rukumana to implement their development programmes such as tournaments and grass root educational courses for coaches, administrators and referees. For national tournaments, the Solomon Cup will be held in June alongside the Youth Solomon Cup.